According to a report published by Shelter, we need to build 250,000 new homes a year in the UK to keep up with demand – and yet only 163,000 new homes were delivered in 2017. There is a severe shortage of affordable homes and homelessness continues to increase year on year. There is a lack of skilled labour in construction, compounded by Brexit, and the building industry has a poor delivery record. In response, the Government has set a target to build 300,000 new homes annually by the mid-2020s and has pledged its support to increase the use of offsite construction. The McAvoy approach to housing aims to reduce programme times by at least 50% compared to site-based construction. This will allow earlier occupation for public sector housing providers and generate a faster return on investment for private developers. It will use proven factory processes to deliver greater certainty of completion on time, on budget and to higher quality standards. Eugene Lynch, Managing Director of The McAvoy Group said: “We have a proven track record, strong project management expertise and highly transferable skills in the successful delivery of offsite solutions across a range of other sectors. 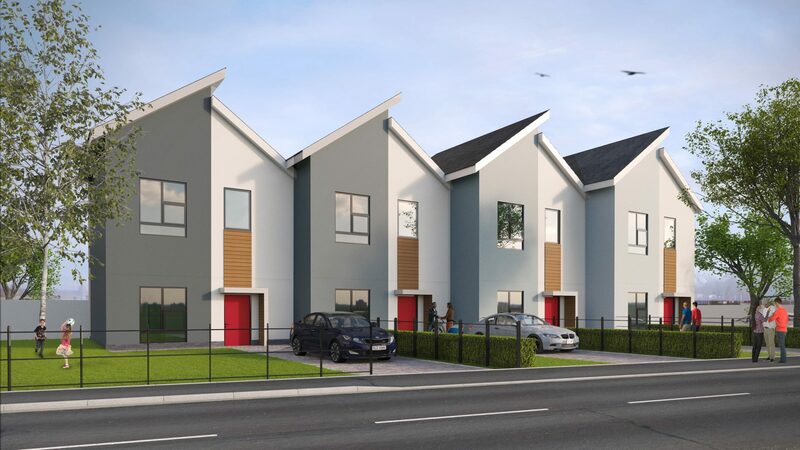 These factors combined with our financial stability and pioneering work in digital construction technology, mean we are well placed to become a significant player in the provision of high quality family housing manufactured offsite. “We are an established principal contractor offering a single source procurement solution which integrates the manufacture of homes in a quality-controlled factory environment, for the delivery of new housing to shorter programmes and to higher standards. BOPAS accreditation for reduced risk and the assurance of durability for a 60-year design life to ensure mortgageability. McAvoy will work as principal contractor on its housing projects – taking responsibility for design, manufacture, fitting out, installation and external works.